Your use of Our Site, and Our Telephone Booking Service is subject to these terms and conditions together with any additional terms and policies referred to in them (“Our Terms”). 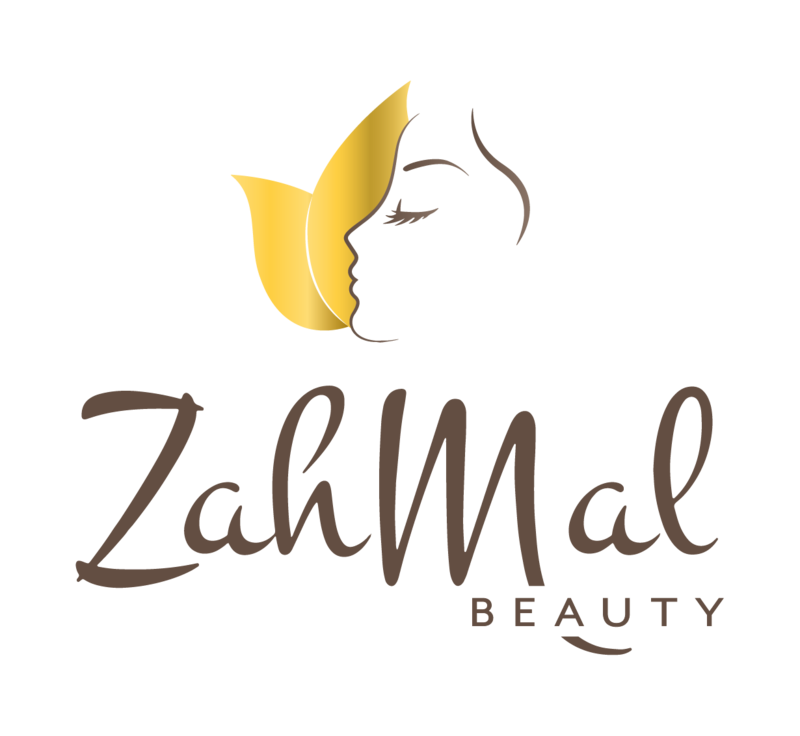 Thank you for choosing ZahMal Beauty, the best place to book a professional Beauty in your home, hotel or office. ZahMal Beauty provides a booking service (the “Services”) for a range of Beauty therapy treatments (“Beauty Treatments”) that are performed in each and every case by independent self-employed professional Beauty therapists (“Independent Therapists”). In providing this booking service, ZahMal Beauty acts as the agent of these Independent Therapists. ZahMal Beauty has no responsibility for any Beauty Treatments which you book through us: we are simply involved with the booking process, as well as providing ancillary services as explained below. The Services we offer allows you to search through Our Site and purchase Beauty Treatments from a number of Independent Therapists. As part of the Services, we also provide some ancillary services such as arranging such bookings and providing you with customer service assistance. However, as stated above, the contract for the purchase of the Beauty Treatments is between you and the Independent Therapists. This means that it is the Independent Therapist (not us) who is legally responsible for providing the Beauty Treatments to you. However, ZahMal Beauty remain responsible in respect of its obligations to you in accordance with these Terms and Conditions which shall be legally binding. If you have any questions, complaints or requests for refunds, we can be contacted directly via our Customer Services Team. Contact Information is available [where]. ZahMal Beauty will remain the point of contact for the Customer for Customer Service questions. ZahMal Beauty shall, if requested, provide intermediary services between you and Independent Therapists in connection with Customer Service or dispute resolution matters. When booked by us, the Beauty Treatment you receive will be subject to the Independent Therapists’ terms and conditions as set out in the Client Consultation Form (“Independent Therapists’ T&Cs”) which are available to view here and you will be asked to confirm your acceptance of them prior to receiving the Beauty Services . The Independent Therapist’s T&Cs will form the basis of your agreement with the Independent Therapist for your Beauty Treatment (each a “Beauty Treatment Agreement”). ZahMal Beauty is not a party to any Beauty Treatment Agreement: this will solely be between you and the Independent Therapist who provides you with your Beauty Treatment. Our Terms govern your use of our website (“Our Site “) and our telephone booking services (collectively ” Our Booking Services “). By using Our Site or Booking Services, you agree to abide by Our Terms. Please read Our Terms carefully and thoroughly. If you do not accept Our Terms, you must not make a booking through ZahMal Beauty for any Beauty Treatment. The Consumer Contracts (Information, Cancellation and Additional Charges) Regulations 2013 requires ZahMal Beauty to give you certain key information for there to be a legally binding contract between you and us. This information is set out below [and is also linked in the email which we will send to you to confirm any booking you make through us with an Independent Therapist]. Details on how to make a booking are set out below. If we wish to change any key information once a legally binding contract is made, we can only do this if you agree to it. When registered on Our Site you will be able to access to and use of our search engine to look for Beauty Treatments within the United Kingdom and to book Beauty Treatments with an Independent Therapist of your choice. You can make a booking through Our Site by choosing treatment(s), time and date, make payment and an Independent Therapist will be assigned to you. Full payment of the Treatment Fee is due at the time of booking that Beauty Treatment with the Independent Therapist through us. Full details of the prices are referred to below. The Treatment Fee belongs to the Independent Therapist who provides the Beauty Treatment. ZahMal Beauty collects the Treatment Fee from you as their agent. For each booking made through us, we charge the relevant Independent Therapist an agreed fee (plus any VAT payable thereon) for introducing you to that Independent Therapist (” Our Agent’s Fee “). We have an agreement with each Independent Therapist under which we are entitled to deduct Our Agent’s Fee from the Treatment Fee paid by you for the Beauty Treatment. 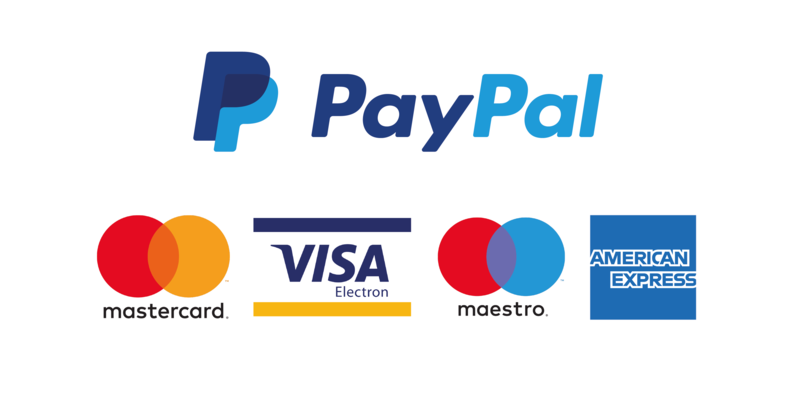 We will do all that we reasonably can to ensure that all of the information you give us when paying for the Beauty Treatment is secure by using an encrypted secure payment mechanism. However, in the absence of negligence on the part of ZahMal Beauty, we will not be legally responsible to you for any loss that you may suffer if a third party gains unauthorised access to any information that you may give us at any time. _ Ensuring the health and safety of the Independent Therapist whilst at your Designated Premises. All Treatment Fees are payable through Our Site, or over the telephone as part of our telephone booking service. As noted above, we collect payment of Treatment Fees on behalf of the Independent Therapist to whom we charge Our Agent’s Fee. The price of Beauty Treatments (each a ” Treatment Price ” and collectively ” Treatment Prices “) varies according to the type and duration of the Beauty Treatment you book and also the location of the premises you have designated for the Beauty Treatment to be provided to you by the Independent Therapist (” Designated Premises “). Treatment Prices are set from time to time and the Treatment Price you will be required to pay for a specific Beauty Treatment (each a ” Treatment Fee ” and collectively ” Treatment Fees “) will be determined by reference to the Treatment Prices in force at the date when that Beauty Treatment is booked. In addition to the responsibilities noted above, it is your responsibility to provide complete and accurate information at the time of booking. Failure to provide complete and accurate information may result in a rejection of your booking request, cancellation of your booking or an inability of the booked Independent Therapist to provide the Beauty Treatment as requested. Such failure may also result in loss or incorrect delivery of your booking confirmation. ZahMal Limited is a professional non-sexual massage establishment; clients are treated with respect and dignity and the therapist expects the same in return. Any form of Sexual misconduct is strictly forbidden. Clients understand that any illicit or sexually aggressive/suggestive remarks, advances or gestures will result in the immediate termination of the session and the client will be liable for the full payment of the scheduled appointment. You acknowledge that you do not have any statutory right to cancel a booking made for a Beauty Treatment. However, you have a contractual entitlement to cancel any booking you have made with an Independent Therapist through us in the following circumstances and on the described terms. _ if the Beauty Appointment Time falls within twenty-four (24) hours of the time of booking, within ten (10) minutes of you having confirmed that you want to make a booking (” Grace Period “). then unless the cancellation represents a Very Late Cancellation (as described below), the Independent Therapist will be entitled to retain (or charge, as the case may be) thirty per cent (30%) of the applicable Treatment Fee because your cancellation represents a Late Cancellation . However, if your cancellation of a booking is within two (2) hours of the Beauty Appointment Time and if applicable, the Grace Period has elapsed, the Independent Therapist will be entitled to retain (or charge, as the case may be) one hundred per cent (100%) of the applicable Treatment Fee because your cancellation represents a Very Late Cancellation . Fail to attend a booking at the Beauty Appointment Time and/or at the Designated Premises. A cancellation fee is charged in order to compensate the Independent Therapist because it is not reasonable to expect that Independent Therapist to be able to provide Beauty Treatments at another booking where you cancel with short or no notice. Cancellation fees may in our absolute discretion be waived where you have been unable to cancel a booking without incurring the cancellation fee for genuine reasons which were outside of your control. Where cancellation fees are waived by us, we act as agent of the Independent Therapist who is the principal in supplying the Beauty Services. If you wish to extend the time you have booked, the Independent Therapist will endeavor to fulfill your request. This subject to the availability of the Independent Therapist and also payment of an additional charge for the extended time calculated in accordance with the Treatment Prices (each an ” Extra Time Charges ” and collectively, ” Extra Time Charges “). _ if you and the Independent Therapist agree to proceed with the Beauty Treatment for the full time allotted notwithstanding the delayed start time, then Independent Therapist shall be entitled to receive and you shall be obliged to pay before the relevant Beauty Treatment is given, an additional charge calculated at the rate set out with the Treatment Prices for extra time. Our Booking Services enable those seeking Beauty Treatments to book appointments with Independent Therapists seeking to provide such Beauty Treatments. Whilst ZahMal Beauty interviews and assesses Independent Therapists who wish to provide Beauty Treatment, we do not guarantee or warrant, and make no representations regarding the reliability, quality or suitability of Independent Therapists. This is entirely a matter for you. Accordingly, you acknowledge and agree that ZahMal Beauty does not have any obligation to conduct any background checks on any Independent Therapist and have no obligation in respect of any service they may provide. We may from time to time create and offer promotional codes and referral codes (together “Codes“) that can be redeemed on the Site against purchases of Beauty Treatments. Codes will only be valid for a period of time stated on or with them. In addition, Referral Codes will be limited to 25 referrals per user. If you wish to continue using the Referral Code for more than 25 referrals, please email contactus@zahmal.com we may (but are not obliged to) extend the relevant Referral Code. _ Engage in or encourage others to engage in criminal or unlawful conduct or breach these Terms including misuse of Our Booking Services for unlawful or unauthorised purposes. ZAHMAL BEAUTY, the ZahMal Beauty logo, brand and all other intellectual property rights, trademarks, service marks, graphics and logos used in connection with the Site, the Services (whether registered or unregistered) belong to us or our licensors (as are applicable) and are protected by intellectual property law. Nothing in these Terms grants you any rights in the Site, Booking Services or the content within the same. All rights are reserved. As noted above, we introduce individuals seeking Beauty Treatments to Independent Therapists seeking to provide such Beauty Treatments. We are not liable or responsible for the fulfillment of any booking or the performance of the Independent Therapist. You acknowledge and agree that we are not responsible for addressing any claims you have as regards any Independent Therapist or any Beauty Treatments, however we do try to assist by providing the intermediary services around resolving disputes and complaints as mentioned above.. Content on Our Site which is made available as part of Our Booking Services is provided for your general information purposes only. Nothing contained on Our Site, communicated any other way as part of Our Booking Services constitutes, or is meant to constitute, advice, opinion or guidance of any kind. We are not a health care provider nor do we provide medical advice or medical treatment. References in Our Site, and elsewhere to “Treatment” and “Therapy” or any similar terms do not refer to medical treatment or medical therapy. The information presented on Our Site and otherwise as part of Our Booking Services is not intended to diagnose health problems or to take the place of professional medical care. Should you have a medical issue you should always consult with a qualified medical professional. Nothing in Our Terms will exclude or limit any warranty implied by law that it would be unlawful to exclude or limit and nothing in Our Terms will exclude or limit our liability in respect of any: death or personal injury caused by the negligence of ZahMal Beauty, fraud or fraudulent misrepresentation by ZahMal Beauty, or any matter which it would be illegal or unlawful for ZahMal Beauty to exclude or limit, or to attempt or purport to exclude or limit, its liability. USE OF THIS SITE, AND BOOKING SERVICES IS ON AN “AS-IS” AND “AS AVAILABLE” BASIS. TO THE MAXIMUM EXTENT PERMITTED AT LAW IN NO EVENT SHALL WE BE LIABLE FOR ANY DIRECT, INDIRECT, PUNITIVE, INCIDENTAL, SPECIAL, CONSEQUENTIAL DAMAGES OR ANY DAMAGES WHATSOEVER INCLUDING, WITHOUT LIMITATION, DAMAGES FOR LOSS OF USE, LOSS OF DATA, LOST REVENUES, LOSS OF GOODWILL, LOSS OF ANTICIPATED SAVING OR PROFITS, OR ARISING OUT OF OR IN ANY WAY CONNECTED WITH THE USE OR PERFORMANCE OF THE SITE OR SERVICES, OR WITH THE DELAY OR INABILITY TO USE THE SITE OR SERVICES, OR WITH THE PROVISION OF OR FAILURE TO PROVIDE THE SITE OR SERVICES.